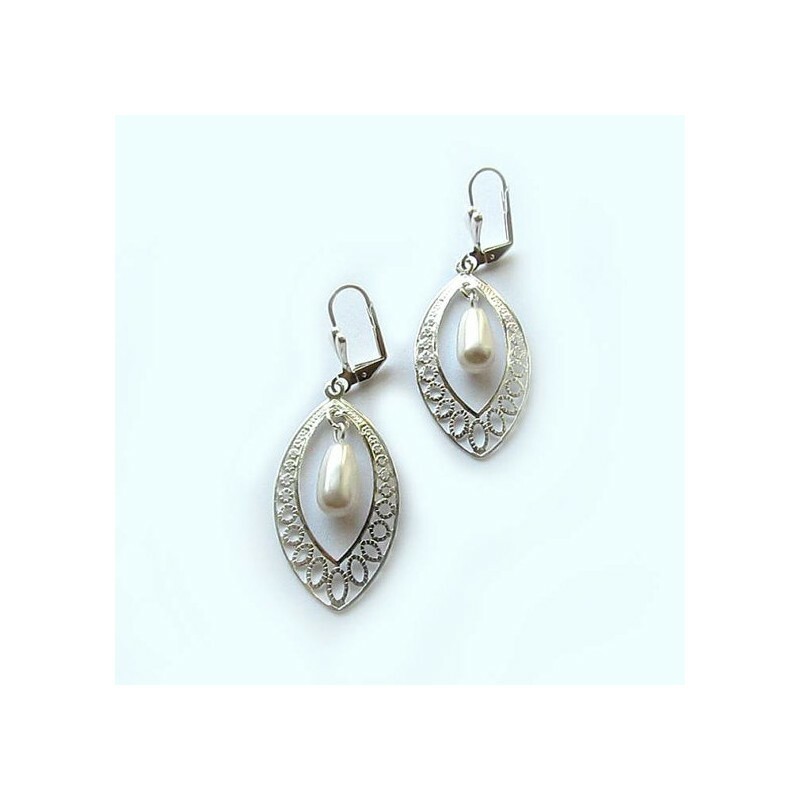 Oval pearl earrings with silver filigree metal. 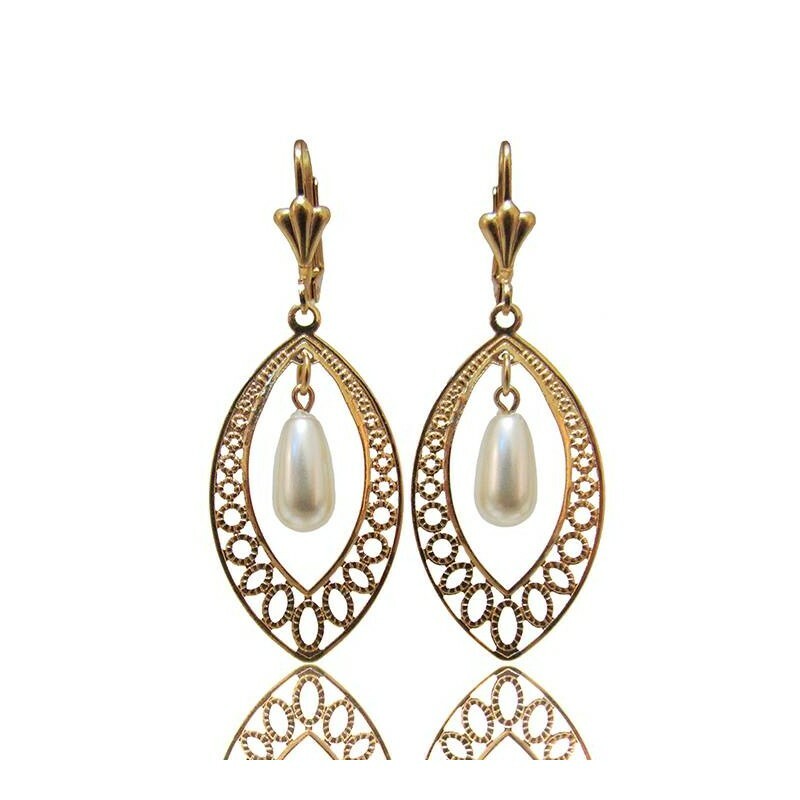 Delicate earrings with oval shape with dangling pearl drop. Oval pearl drop earrings made of plated elements and Swarovski pearl drop. 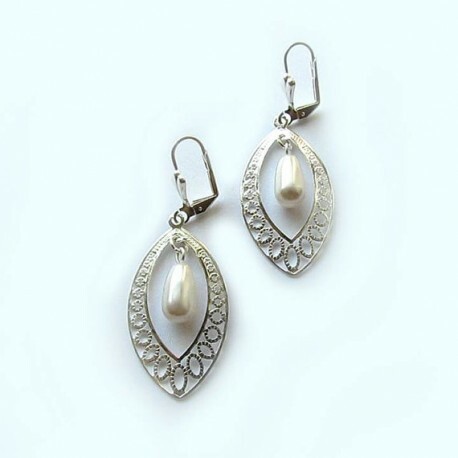 Oval Pearl Earrings Silver, this dainty jewel is suitable for Bridal, bridesmaid or even everyday wear.